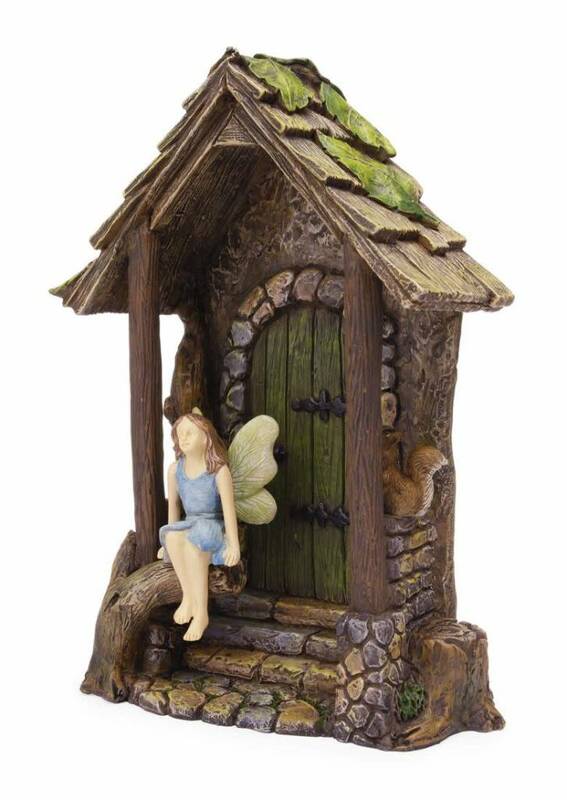 Great doorway to a hidden fairy garden indoors or outdoors. Great doorway to a hidden fairy garden indoors or outdoors. This lovely secluded doorway has a porch with a stone base that supports wooden beams and a wooden slat roof. the door is wooden and framed by stone, 3 stone steps lead to the from the path. Tree trunks with leaves and stumps grace the property. A little fairy sits on the porch looking out whilst her squirrel friend sits nearby. Measures approximately h19:w13:d7 cm.